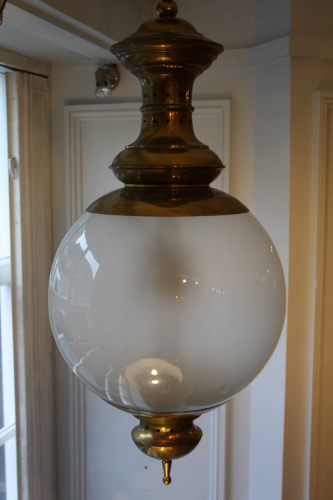 A fantastic opaque glass and brall hall or ceiling light by Italian designer Luigi Caccia Dominioni c1950. An elegant and archictectural design. Rewired and PAT tested for UK.